Artists doing songs for commercials doesn't have the same stigma it used to. Nowadays, it's pretty much the only way to actually get music heard by a mainstream audience. However, it still feels a bit weird when one of our favorite artists makes a song for a major corporation. 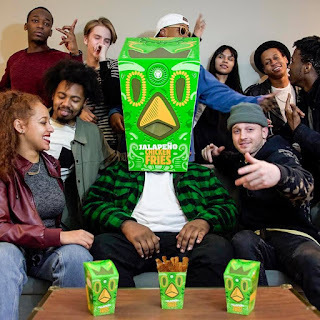 Michael Christmas, our favorite Boston rapper who should be absolutely huge by now, did a song for Burger King, more specifically for jalapeno chicken fries. The most shocking part of this song is that "Make 'Em Jala" is actually a fun little song about getting jalapeno chicken fries. Plus, it's a pun, so that's always good. Besides, this was probably a huge payday for Christmas, and there's not many ways for indie artists to get those in today's music industry. You can listen to "Make 'Em Jala" below. Also, be sure to check out Michael Christmas' other music, which is fantastic. You can find out more at his Facebook and Soundcloud.